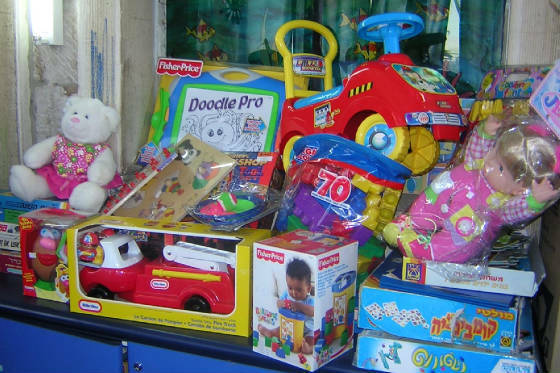 It's that time of year again, the annual toy drive for Israel- "Miles of Smiles". 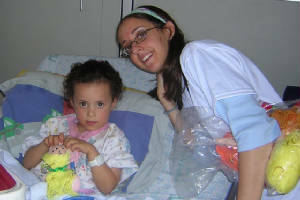 With your help last year was a tremendous success 250 stuffed animals were distributed to children in the following hospitals, Hadassah Ein Keren, Bikur Cholim and Sharre Tzedek, in addition we stocked Bikur Cholim's play room with loads of toys and also distributed orange stuffed animal teddy bears to children from Gush Katiff that were sent out of their homes just a few days after we arrived in Israel. Another exciting piece of news is that Miles of Smiles was featured on UPN channel 9 news in New York last summer, and while in Israel we were also taped for CNN news and another Israeli English speaking News/Israel National Radio. 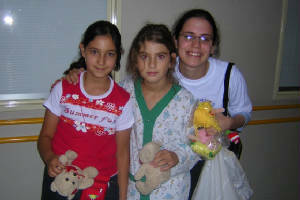 Baruch Hashem Israir has generously given us extra luggage allotment for the stuffed animals.